Tom Phillips (2018 Ave: 95.5) emerged as a solid fantasy option this year increasing his average by 12.2pts compared to 2017, he scored 100pts or more in 45.5% of games & 120pts or more in 22.7% of games. Phillips averaged 100.5pts with Adam Treloar & 88.2pts without to finish the H&A season, he averaged 79.3pts from his final 3 H&A games. There may be some further value in Phillips in 2019. Taylor Adams (2018 Ave: 95.1) had a very slow start to the year averaging 78.0pts from his first 3 games, he missed the next 3 games with a Hamstring injury before returning with a poor score of 48pts in Round 7. Adams averaged 101.7pts from his remaining 15 games of the H&A season, his average increased to 105.8pts without Adam Treloar. Adams should be a definite watch on role & fitness over the pre-season, he could be in a bounce back situation. 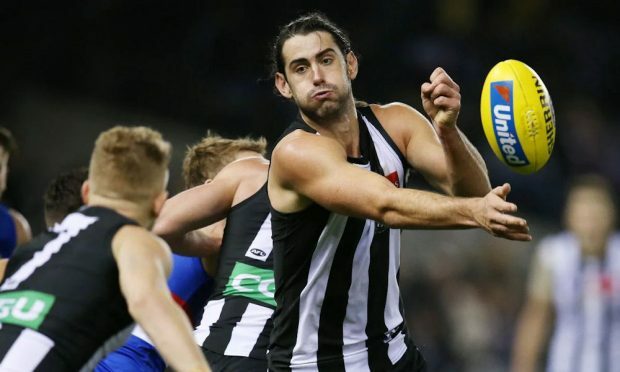 Full credit to those that worked out the Collingwood Ruck scenario prior to Round 1 & started with Brodie Grundy (2018 Ave: 120.0), after a moderate 84pts in Round 1 Grundy then went on to score 100pts or more in 19 of his next 21 games averaging 121.7pts. Grundy will come with a monster price tag in 2019 but he might be worth every cent, it’s not very often a fantasy player can score 120pts or more in 59.1% of games for an entire season.